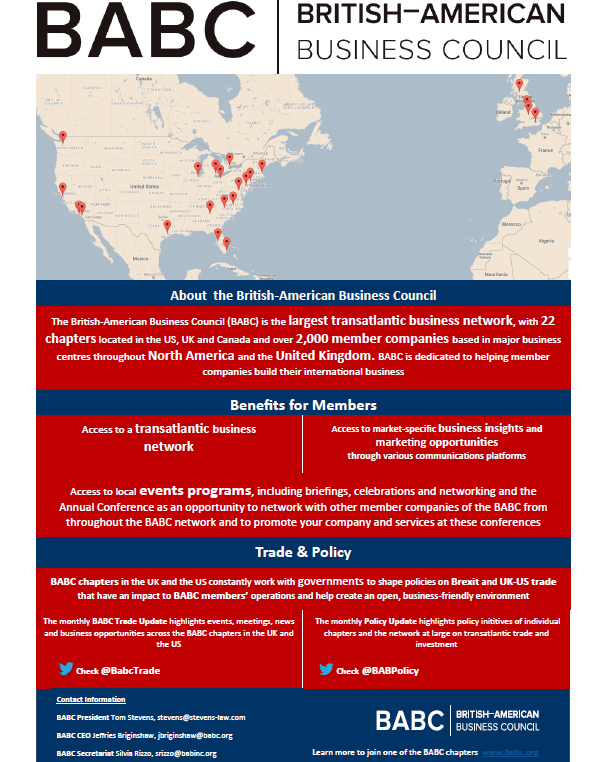 The British American Business Council of Orange County (BABC-OC) is a non-profit international business association with a membership of Southern California-based companies and individuals involved in the transatlantic trade. The BABC-OC provides a business and cultural forum that offers high quality networking and business opportunities for commerce, collegiality and community outreach, with a special emphasis on fostering economic growth between Orange County and the United Kingdom. The BABC-OC participates in the BABC to gain access to a broader transatlantic business network and additional member benefits, including access to business development, networking and marketing opportunities and to valuable business insights and intelligence.